The network evolution to all IP is on the fast track. Even with networks that maintain their legacy formats for a variety of reasons (e.g. equipment investment cost, quality control, and security issues) there is a push to take advantage of the benefits of IP networks. Building on our tech control expertise (operational control, test and monitoring of TDM and serial circuit legacy technologies) Cornet Technology has designed a family of products known as IPGate® that give governments worldwide the ability to interface their legacy networks with IP networks. These units provide a smooth and cost effective IP migration path whilst managing the existing infrastructure. For over 25 years Cornet Technology has designed and manufactured communications equipment that assists in the operational control, test, and monitoring of Time Division Multiplexing (TDM), serial, and circuit technologies. Leveraging this extensive knowledge, Cornet Technology has designed a family of gateway products that give governments, worldwide, the ability to interface their legacy networks with IP networks and provide a smooth and cost effective IP migration path while managing the existing infrastructure. IPGate® IP gateway products range in size, port capacity, and redundancy options. Tech Control functions have traditionally been the domain of Matrix switches and patch panels. It is their function to give test equipment access to network devices to perform monitoring operations (such as data line monitor or Bit Error Rate testing) and maintenance. In many cases, as agencies move to take advantage of IP technology, they still have TDM and Serial based networks that need monitoring while they are being transitioned to or transported over IP. Doing this without the costly and space consuming patch panels or retaining matrix switches, is a function of our IPGate family. In addition to the primary function of converting legacy TDM-based endpoint to IP, each IPGate has the ability to provide circuit monitor and break enabling tech control operator anywhere in the network to test a connection, even if that connection is remote from the operator and spans more than one IPGate chassis. This ability to test and monitor the legacy portion of a circuit is unique to our IPGate family and is an invaluable aid in diagnosing network problems and reducing the time to restore service. Enabling the National Airborne Operations Center (NAOC) personnel to communicate quickly in changing environments. 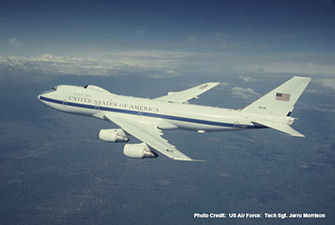 In 2011, Cornet Technology became involved with the E-4B Modification Block 1 Audio Infrastructure Upgrade. The new solution replaced the existing Cornet Technology Matrix-based Automatic Patch and Test systems (APTS) with our IPGate (virtual matrix) system which allows existing serial to packet applications to take advantage of VoIP benefits. 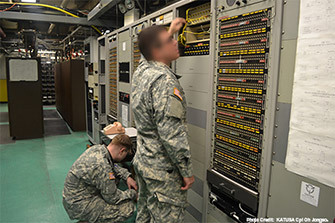 The eight IPGate solution saved the Air Force SWaP by replacing up to 31 difference pieces of equipment. For security and warfighter safety as well as cost consideration, it is preferred that encryption devices be located at military C2 centers instead of remotely with the antennas and radios. The challenge to this arrangement is how to ensure long-haul security and reduced latency. Meeting this challenge is the Cornet Technology IPGate with LHSC functionality. IPGates within the C2 center receive plain and secure audio from the encryption devices, formats the audio into IP packets and then transmits it over a fiber Ethernet IP link to a SATCOM uplink or via a terrestrial link. At the remote site, an IPGate receives the transmitted packets and converts them back into plain or secure audio and makes it available to the chosen radio. The IPGate solution provides full-duplex communications enabling audio to be transmitted from the radio back to the C2 center operators. Additional functions of the IPGate is its ability to send PTT along with the voice making PTT available to the radio; and the ability to overcome satellite latency through a feature that ensures that cryptographic devices stay in sync. Cost considerations often generate creative ways of reaping savings. 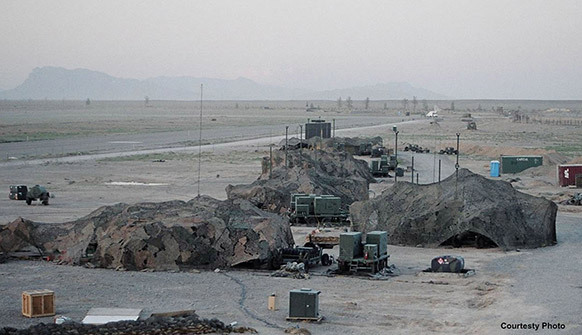 Similar to the LHSC application, a Navy fixed site required that a large number of ground operators be able to connect to and use remote radios located at multiple sites to communicate with planes flying overhead. The solution required that radios and cryptos be shareable. Through the Cornet Technology solution, a ground operator choses any crypto (located at the fixed site) and any remote radio using a Cornet Technology operator interface unit to establish a connection. The combination of IPGate and Cornet Technology Tactical Voice Communications Subsystem (TVCS) securely connect the cryptos and the remote site radio over an IP WAN. When the plane is out of range, the operator simply makes a connection with a radio at another site and continues to converse with his/her assigned plane.